Virgin Island yacht charter Magician: In a secret cove, past the wishing chair, there is a curious woman who is schooled in mind reading, fortune telling, and magic! Enjoy an evening with “Cause to Wonder” founder, Lisa Menna. She offers guests what they crave no matter what their age…something they can’t explain. 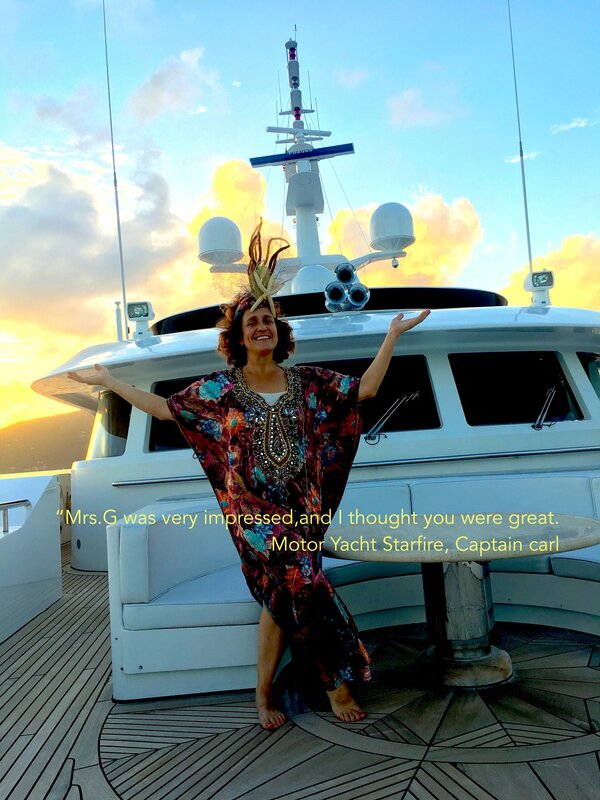 Lisa Menna will add extra value to a fun night aboard your luxury yacht charter. She plays the part of entertainer, local island girl, and magician all at once! Entertaining the likes of Celebrities and Royals, incl. Alec Baldwin, Justin Trudeau, and President Bill Clinton. Virgin Island yacht charter Magician LISA MENNA will come aboard luxury yacht STARFIRE for a private engagement. 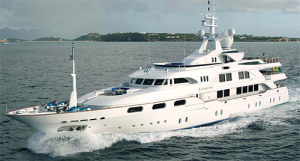 Megayacht STARFIRE is a 178ft Benetti chartering in the Caribbean Virgin Islands. This mega yacht accommodates 12 guests in 6 luxurious staterooms with a dedicated and experienced crew of 12 headed by Captain Carl Sputh. STARFIRE features at-anchor zero speed stabilization, which is a true advancement in the yacht’s performance. This luxury megayacht has the latest and most technologically advanced communication system in the industry. With a new Ku-band satellite, she now offers full communications while docked and at sea. Therefore, providing guests with high-speed wireless internet access around the world. In addition, her owners installed a state-of-the-art audio-visual system to provide the best available programming and reception no matter the destination! Modern Art Deco makes up her interior, with custom furniture and exquisite fabrics. Great effort and craftsmanship went into STARFIRE’S appearance and performance to be at the highest levels of luxury! Contact Luxury Yacht Charters at 321-777-1707 to learn more.